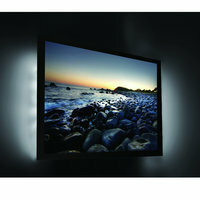 This TV Back Light Kit comes in a Cool White colour and highlights the back of your TV. This is perfect for complementing any contemporary style in your Living Room. Powered using USB, this kit plugs directly into your TV, allowing ease of use and installation. 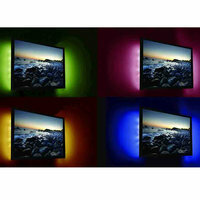 This TV Back Light Kit comes in a Cool White colour and highlights the back of your TV. This is perfect for complementing any contemporary style in your house. Powered using USB, this kit plugs directly into your TV, allowing ease of use and installation. 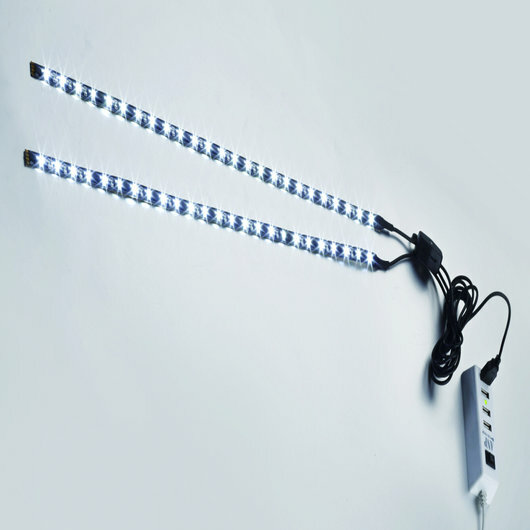 The Kit comes with 2 LED stripes and 3 Metres of Self Adhesive Strip which can be used to house the wiring, allowing for a smooth installation and no dangling wires below your TV. LED technology is great if you want to save money on your monthly energy bills, as they only use roughly 8% of the energy used by normal bulbs. Bulbs with LED technology can also last years without needing to be changed.